Caltrans District 8 SR-91 Freeway Operations Design – Advantec Consulting Engineers, Inc.
As part of a Caltrans District 8 on-call project, ADVANTEC staff prepared detailed communication design for Route 91 from the Orange County line and into Riverside County. The communications system was designed for 28 CCTV and 8 CMS locations. 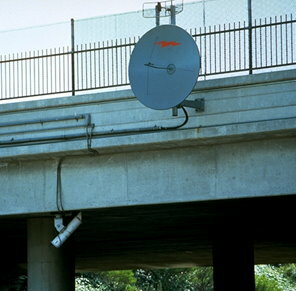 ADVANTEC staff designed a fiber-optic link between each CCTV and CMS location to a central hub; from there, communications were transmitted to the Traffic Operations Center (TOC) in San Bernardino via microwave transmission, including 4-channel monitor compatible with FCC guidelines with full dynamic image. The project also entails consideration for infrared communications as an alternative for image communication, and concept design of TOC layout for inclusion of communications and monitoring.